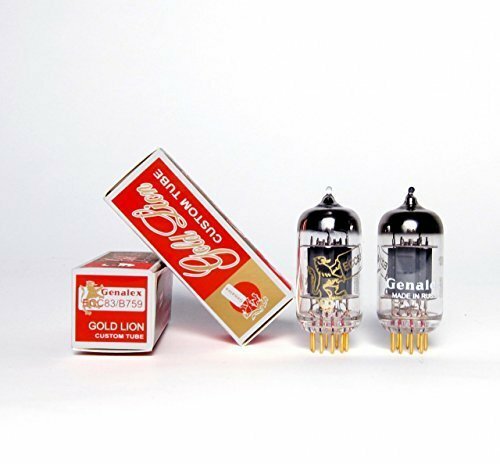 Original Genalex Gold Lion ECC83/B759 tubes are considered among the best 12AX7 types ever made. They are hard to find and when they are available, they are expensive. They exhibit a large detailed soundstage that is sought after by discerning audiophiles who demand the highest quality sound. The reissue Genalex Gold Lion ECC83/B759 recreates the sound signature of the original. This tube features balanced sections and gold plated pins. If you have any questions about this product by Genalex, contact us by completing and submitting the form below. If you are looking for a specif part number, please include it with your message.